One of our clients, a recently public diagnostics company, settled an ongoing royalty dispute with a major pharmaceutical company. The settlement amount was significantly lower than what our client had accrued, resulting in nearly $750 thousand upside to their P&L in the upcoming quarter. The company assumed they needed to issue a press release in addition to the Securities and Exchange Commission’s (SEC’s) disclosure Form 8-K, but was a press release really merited? In this case, we advised them to forego the press release and just issue an 8-K. What we realized in the process, however, is that there are many things to consider when disseminating news that goes beyond “is this material?” or “is this required?” — and leading companies to question the most appropriate vehicle to use to disclose news to investors, regardless if the news is positive, negative, or potentially neutral. In our last post, we shared strategies for communicating bad news to Wall Street. Here, I offer some thoughts on how to determine what mode of disclosure to take with your shareholders and the public, and explore specific scenarios from our experiences in the field. Material events include a change in your financials (some people suggest “10 percent” as a general rule) that differs from your previously reported, publicly disclosed guidance and from what the analysts are projecting. They also include a change in an anticipated product launch date that could affect the timing of sales, an important new customer, an FDA decision or significant change to coverage or reimbursement, a change in executive leadership or your board, the decision to enter into a merger or acquisition, or anything else that can substantially affect your business, such as the availability of a new or updated investor presentation on your website. Form 8-K is a legal filing, and when a “material” event happens, your company is legally bound to submit one. It’s a straightforward form on which you list factual information only. There’s no room to explain how or why the event happened — only that it did happen. To determine whether you need to submit an 8-K, your management team needs to ask itself this question: does this event affect decisions made by investors, now or in the future? If you answer yes, then you need to file the 8-K.
Arguably, one could say that anything that happens at the company could have an impact on an investor’s decision — and, yes, I have had a client who wanted to play it extra safe by filing a Form 8-K for everything, from the date of an earnings call to the roll out of a new corporate logo. But that isn’t necessary. Again, when in doubt, check with your corporate counsel. Unlike the straightforward Form 8-K, a press release is a chance for your company to explain the event in the context of your company’s story. In the scenario above regarding the diagnostics company with an over-accrual, we asked: “Is there a qualitative benefit involved?” “Does this affect the ongoing business or result in a change to any prior guidance?” In both cases, the answer was no, and a release would not provide any more “color” as to how and why. In the event of a material event, ask yourself: is there more to the story to explain than an 8-K allows? Would my shareholders benefit from knowing some of the how and why? If you answer yes, then you’ll likely want to issue a press release. Consider, for example, a change in your financial guidance. For this, you’ll need to issue an 8-K that incorporates, by reference, a news release that is publicly issued over a major news wire service and explains why the change happened. The news release is your opportunity to include quotes from your management team (which you can’t do in an 8-K) and articulate the context of the change, how this affects your business, and what next steps you may take. This added information constitutes a critical part of the disclosure — the qualitative information. 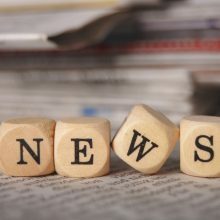 Of course, press releases can be used to communicate far more than material events, such as announcing the date of your quarterly conference call or spreading the word about all kinds of things — an upcoming speaking engagement for an executive, the new hire of a non-executive, the launch of a new logo or website, or your decision to support a charity or take on a new initiative — all of which have no real impact on operations. These kind of press releases are important because they keep investors updated, validate events you’ve already highlighted in prior disclosures (such as a product launch or anticipated customer agreement), and keep your company top of mind with shareholders. The gray area: to issue a press release, an 8-K, or both? In healthcare — as in any business — there are some gray areas that can be hard to navigate. Take, for example, a minor insurance coverage reimbursement decision. In all likelihood, you want to consider the size of the reimbursement (i.e., the number of covered lives) to determine whether the coverage will affect your revenue significantly or if it points to a trend. If a major health carrier decides to reimburse patients who buy your test or product, you’ll want to consider issuing both an 8-K and press release. Likewise, if the major carrier decides against coverage, you’ll need to do the same. Use your judgment, and always assess the impact on your business and bottom line. If a smalltime private payer decides to cover your implant for its 200 subscribers, then a press release will usually suffice, as the revenue generated won’t make a significant difference. Keep in mind, too, that major carriers like Blue Cross Blue Shield or UnitedHealthcare don’t always allow companies to use their name in a press release, especially if the company is lesser known and small-scale. In this case, an 8-K is your only option. How you disclose both positive and negative information to the Street is important, and you want to follow the rules set by the SEC’s Regulation FD and come across as transparent and honest. If your company needs guidance developing a strong communications strategy and optimizing how you disclose news, Westwicke can help. Download our Investor Relations Guide to learn about our approach, and reach out to us to start the conversation.